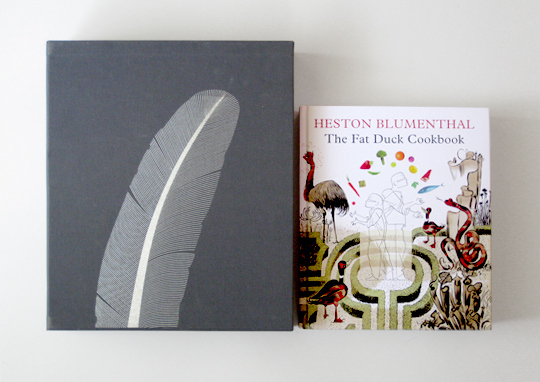 The smaller and — more importantly — cheaper edition of Heston Blumenthal's magnum opus The Big Fat Duck Cookbook is now available. 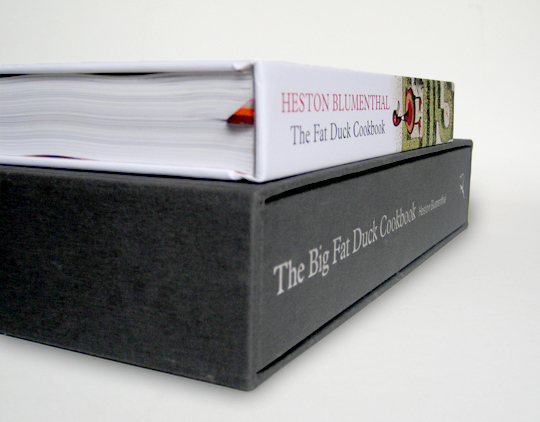 Appropriately titled the de-Biggened The Fat Duck Cookbook (Amazon ), the two books are completely identical in terms of content; essentially it's a scaled down version of the original. Literally: The Fat Duck weighs in at a meager 5.6 pounds, versus The Big Fat Duck's best-in-class 11.6. Other differences? 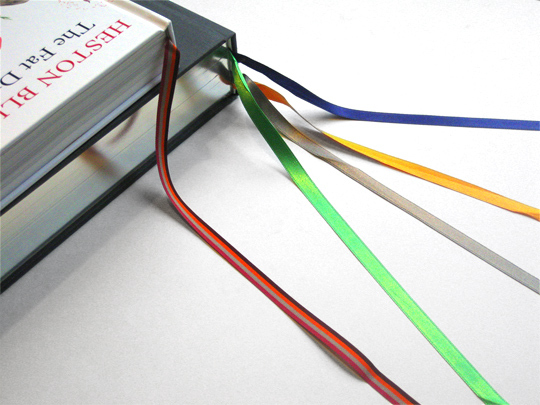 The littler book has no slipcover, no silver-edged pages, and only one striped bookmark (instead of four). 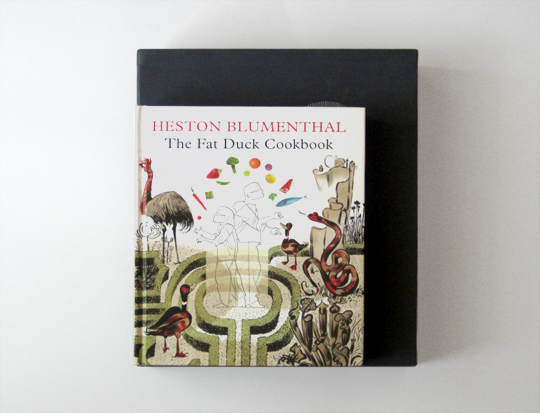 But it does have a sweet new cover with illustrations by Dave McKean But like The Big Fat Duck Cookbook, it's a pretty magical volume — all the Blumenthal insanity and creativity, just in a more compact carrying case, and a significantly lower price tag. So is it worth buying the larger Big Fat Duck? 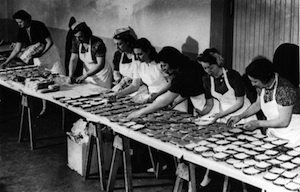 If you're stocking a cooking school library, really into art books, or have a lot of money to throw around, sure thing! The bigger version is rather stunning: The large format suits the intensely detailed illustrations, the gorgeous silver-on-charcoal slipcover is impressive and sturdy, and the thick pages are just so very satisfying to turn.